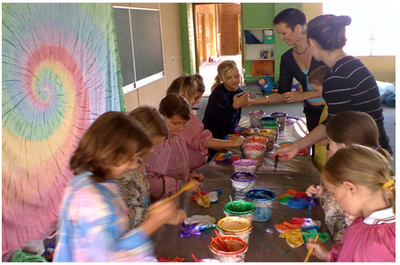 We can come to you anywhere in the Byron/Tweed/Ballina/Lismore Shire. 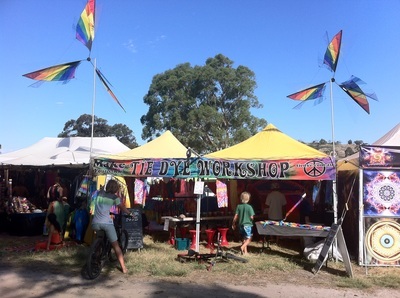 From just $150 we bring dyes and equipment to setup a 2 hour buffet of all you can tie dye fun! All you need to provide is your own white items to dye, or we can arrange this also on request. 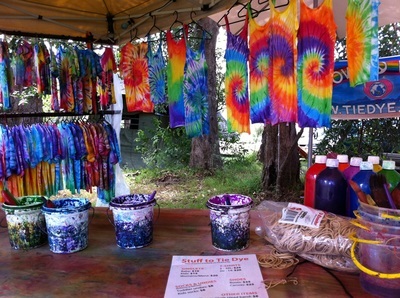 We also have a national network of tie dyers, so contact us and find out if someone near you can bring some tie dye fun to your door.